Two famous TV actors will swap the small screen for the big stage as they perform as part of a new celebration of classical music in Aberdeen. 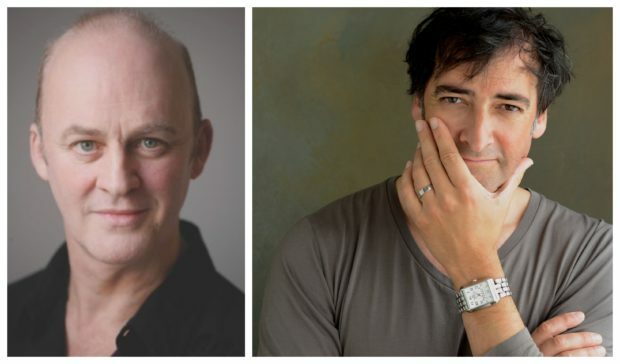 Impressionist Alistair McGowan and Tim McInnerny, who is best know for his role as Captain Darling in Blackadder Goes Forth, are lined up to perform during the Reverie weekend at Aberdeen Music Hall next month. Olivier Award-nominated actor, Mr McGowan, will play several of Erik Satie’s well‐known piano pieces and deliver many of his unheard, often surreal, articles and poems. Mr McInnerny, who has also acted in Notting Hill and Game of Thrones, will perform alongside pianist Lucy Parham – who won the BBC’s Young Musician of the Year competition in 1984 – in a show about the lives and loves of Claude Debussy. The classical music strand will take place from March 15-19 and features performances, talks and masterclasses at the recently revamped venue. There will be a special focus on French composers Debussy and Ravel and their contemporaries. Ensembles including the BBC Scottish Symphony Orchestra, Scottish Ensemble, Scottish Opera, and leading pianists Javier Perianes and Bertrand Chamayou will also play. Director of programming for Aberdeen Performing Arts, Ben Torrie, said: “With the reopening of the Music Hall we wanted to give audiences the opportunity to explore musical themes in greater depth. “The programme includes many works that will be familiar to audiences alongside new and rarely performed pieces.